Suson Farm Fridays at Suson Park. Activities include fishing, barn tours, hayrides, pony rides, candle making, face painting, pedal tractors, bean bag toss and more. Dates: Fridays, May 17th, June 7th & 21st. Geared for ages 2-12. Call 314-615-8822 or see the "Events" page on the website for online registration. More information can be found in the St. Louis County Parks Spring/Summer 2019 Activity Guide, page 10. See website to download printable PDF version. Suson Park features a farm with live farm animals, fishing lakes and picnic facilities. 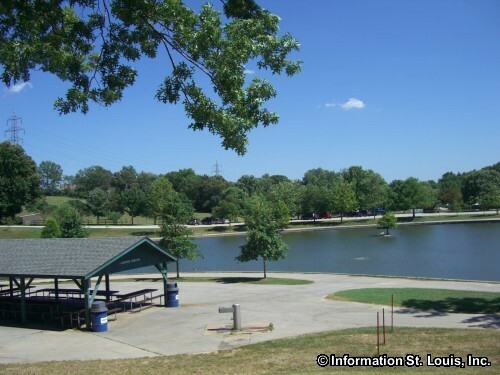 It is located in South St Louis County in Sappington Missouri. Directions: Located off of Wells Road, just south of the intersection of Highway 21 with Wells.